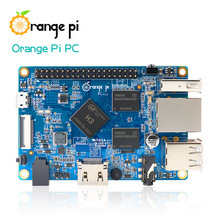 First operation to do in order to use Openelec on Orange PI PC is the micro sd preparation. It is advisable to use a micro SD class 10 to gain better performances. paying attention to choose the opipc version. WARNING: Be sure that the device is the micro sd card and not the internal disk. The next operation imply the complete rewriting of the device with the loss of all data on it. WARNING: This operation wipes all data on the micro sd card. After a while we have the micro sd card ready to be used in the Orange PI PC board. We choose the latest image in .gz format. 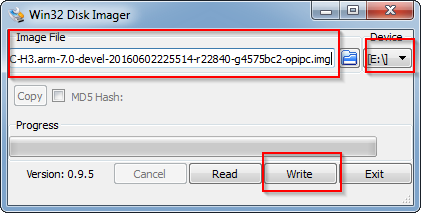 We expand the content using a compression software, as 7-zip, obtainig one file having .img extension. Press Write to transfer the image on the sd card.